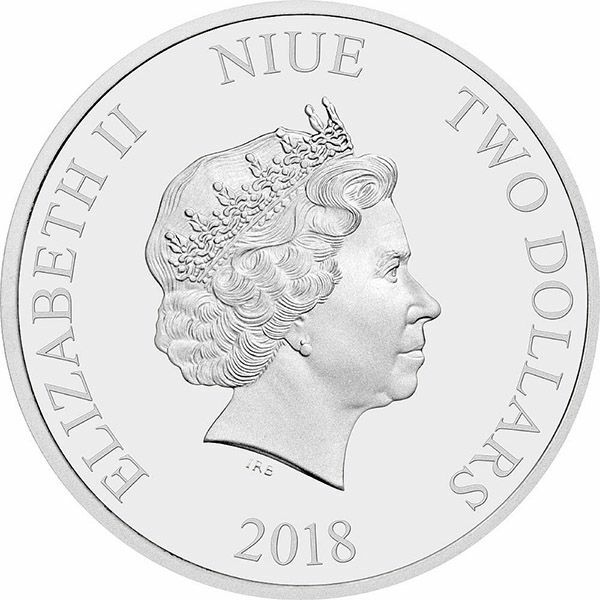 This exciting new release from the New Zealand Mint for the Pacific island nation of Niue is the ideal partner to 2017's silver Darth Vader coin and a must for any serious Star Wars collector. 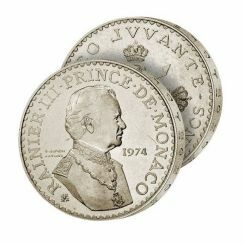 The impressive reverse design looks deceptively simple at first glance and appears to be an almost mirror image of its predecessor. 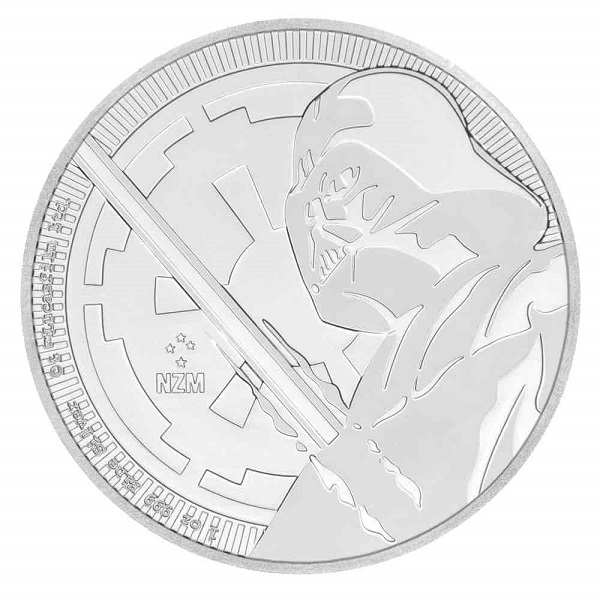 The mint's talented designers have chosen to place the iconic character to the right of centre for the new 1oz 2018 Darth Vader coin – the 2017 edition places him to the left. The multi-layered design features a raised and polished Darth Vader against a sleek matt satin background emblazoned with the famous Imperial logo. 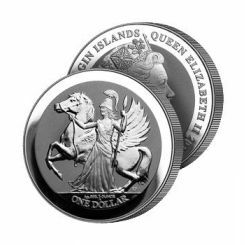 The reverse also carries the New Zealand Mint's prestigious star logo and the authentic Lucasfilm copywrite mark. The obverse of the 2018 Star Wars 1 oz silver Darth Vader coin shows the much-loved portrait of HM Queen Elizabeth II by Sir Ian Rank-Broadley.